Posted by Sam Smith on Saturday, August 24th, 2013 at 1:50pm. 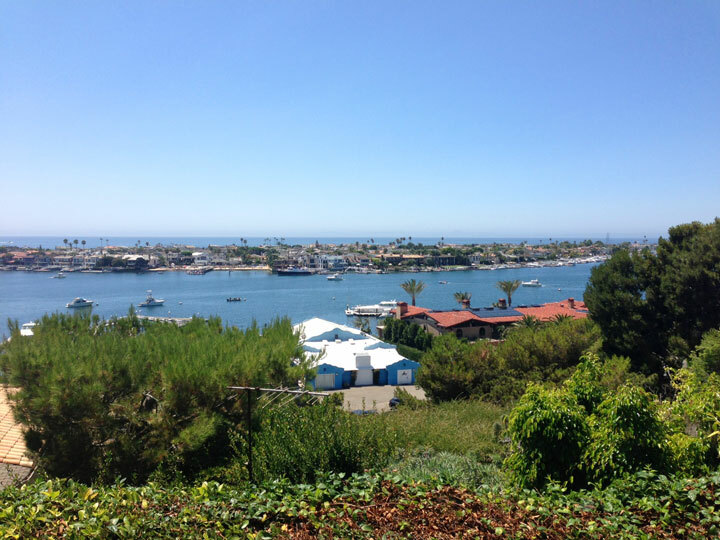 The Corona Del Mar spyglass area is located south of Pacific Coast Highway near Bayside Drive and is one of the best places to find both Newport Bay and ocean views as pictured below. This location offers the best of both worlds since it's located very close to the beach and also close to the many shops and restaurants that line Coast Highway in Corona Del Mar. The photo below was taken on 1st Ave near Avocado Lane and looks directly at the Balboa Peninsula with the bay on one side and the Pacific Ocean on the horizon. Home prices in this area will start at $695,000 for a one bedroom condo and can go as high as over $21 million for a bluff front estate home. Residentail single family homes are the norm here with home prices starting over $1.2 million. The area with the best prices is called "Jasmine Creek." Don't expect a large mansion at this price point but expect to find a two to three bedroom single level home. If your budget allows over $1.5 million you may want to consider the "Shore Cliffs" community. This is a very nice neighborhood with a great central location. Starting prices for Shore Cliffs is currently at $1.5 million for a four bedroom single level home. Where you live in Newport Beach is all about location and Shore Cliffs is a great neighobrhood with home prices well above the $10 million price point. We have put together the newest ocean view listings below. Please let us know if you are interested in viewing any of these homes. We are here to help!